Adventure, Art, Culture: Sweets and sword fights. We left Dublin early Thursday morning via ferry. From Wales we made our way south and are now in lovely Stratford, England. 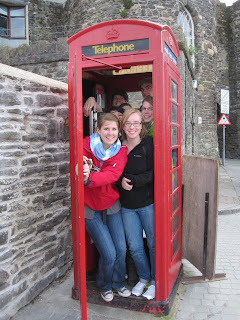 On our way to Stratford we made a few stops through Wales. Our first stope was a quick hike through the Welsh mountains. 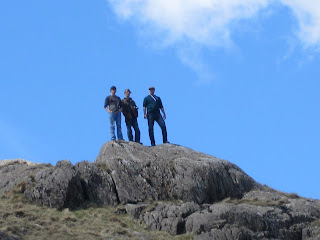 And of course, our boys ran up the sides of the mountains like goats. Our last stop of the day was Conwy and the impressive Conwy Castle. 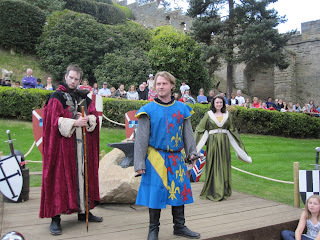 The castle was built sometime between 1283 and 1287 by King Edward I. 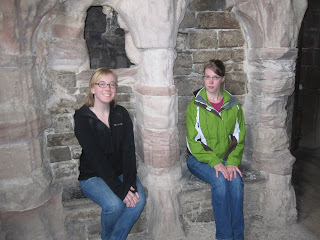 We got to explore the ruins and climb the steep spiraling staircases leading to the tops of high towers. This was one of the most complete ruins we had seen yet with multiple high towers, a complete outer wall, and a 91 ft. well. Naturally, we threw coins in and made wishes. 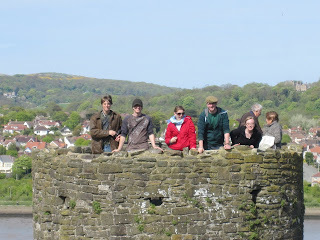 After we had our fill of the castle, we roamed around the city of Conwy. 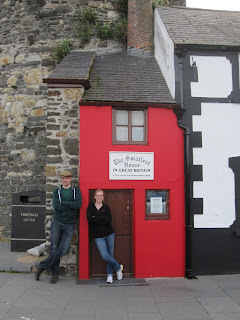 We found the Smallest House in Britain. It's perfect for Bethany, but Spencer would have a harder time living there. 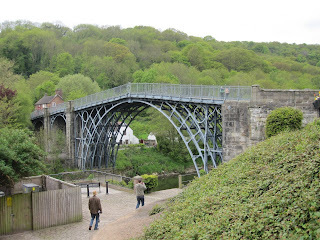 The Iron Bridge that the area is named after was the first bridge to be made of cast iron. Located on the river Severn in Shropshire, England, the bridge represents a new age of industrialism and iron crafting. We went to two great museums and learned about the industrial history of the Coalbrookdale area. The museums were fun and interactive. Kaitlin pums water on a miniature of an old coal furnace in the picture directly below. 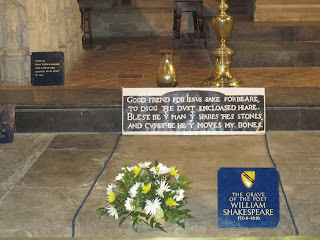 When we arrived in Stratford our first stop was the Holy Trinity Church, the place where beloved poet and playwright William Shakespear is buried. 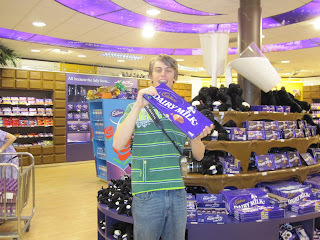 Today we started our day with Cadbury World (angelic music begins to play.) There was tons of chocolate and we ate our fill of it. We toured through Cadbury history as well as the modern day factory. 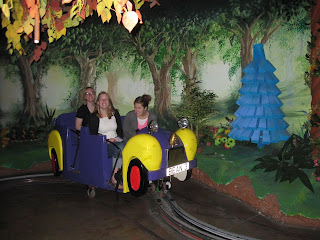 We saw choclate making demonstrations and even rode a ride! 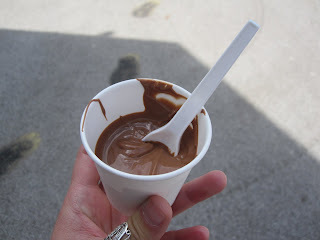 It was like being at Willy Wonka's Chocolate Factory. 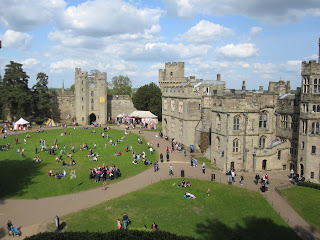 After a cup full of freshly made liqid fresh dairy milk chocolate we loaded ourselves and our sweets onto the bus and headed to Warwick Castle. We arrived at "Britains Ultimate Castle" with hundreds of other people enjoying the gorgeous day. 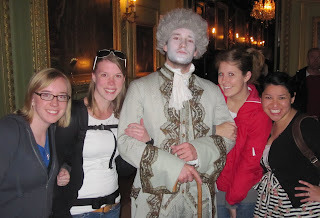 Warwick Castle has been commercialized far more than any of the other castles we'd seen, bt it was great fun. 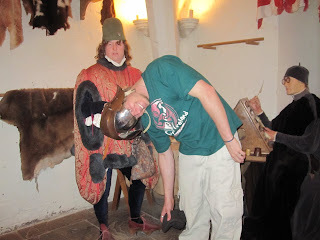 The castle was built in 1068 but there were exhibits to portray all eras of life in the castle. 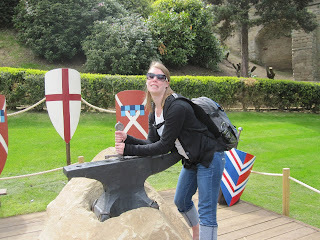 and we tried to pull out the sword in the stone. We also saw a trebuchet demonstration and they fung a ball of fire through the air. It was awesome. Sadly, it was difficult to get a decent picture. 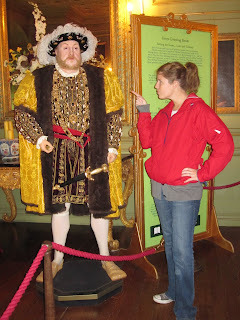 The inside of the castle was furnished, complete with Henry VIII and a pleasant victorian man. 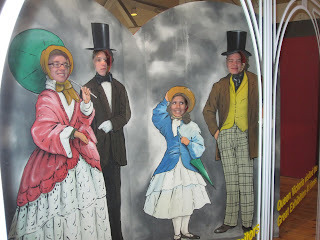 There were wonderful exhibits in which we behaved ourselves completely. Tomorrow is our Shakespeare and Stratford day! It's hard to believe our trip is over half way done, but we miss you all and we'll be seeing you soon. Well, that is if Eyjafjallajökull permits.